banquet dinner table waited for a reaction from the prime minister. Instead he offered an unflinching calmness & composure. His love,and duty for the country, demanded a silent farewell. He’d once asked her - ‘Why does it take a minute to say hello & an eternity to say goodbye’ ? He’d finally got his answer. Edwina Mountbatten had died in her sleep. Gyanban thoughts – Lord and Lady Mountbatten served as, respectively, the last Viceroy and Vicereine of pre-Partition India. Jawaharlal Nehru and Edwina Mountbatten shared a strong platonic frienship,perhaps borderlining on romance.Some secrets are forever wrapped in pages of history and only a few people know the exact nature of their relationship. The prime minister displayed exemplary courage to set aside personal grief and engaged with the important foreign dignitaries visiting Hyderabad House that evening.The final Goodbye tested his strength of mind to the limit. Researched from - The Hindu Archives and authored by Ramchandra Guha here. 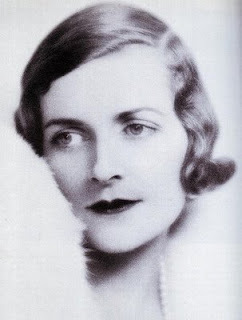 On February 21, 1960, Edwina Mountbatten died in her sleep while on a visit to Borneo. Shortly after midday, the news was communicated to Walter Crocker by his friend Rajkumari Amrit Kaur, the veteran Gandhian and high-ranking Minister in the Union Government. That evening the Australian diplomat was due to attend a dinner at Hyderabad House in honour of the historian Arnold Toynbee. your BAT promises to be challenging again.. as always, factual :) good strong take GB..
‘Why does it take a minute to say hello & an eternity to say goodbye’? - VERY TRUE!! *The strong platonic frienship, bordering on romance. *Displayed exemplary courage to set aside personal grief. *His country, demanded - He set aside his personal grief and act as was expected of him. These were the OUTSTANDING qualities of Pandit Nehru, beautifully brought out by you here. Rarely found in people in authority nowadays. The control over the mind even whilst saying goodbye in grief is well depicted here. you are as fantastic with your short stories as with your long tales. You have captured the pain in a 'GoodBye' in such few words, so easily. Revisiting the romance in history was a neat idea! An amazing post!...lots of facts, many emotions and a unique way to bid goodbye. All the best! Great intriguing, post. Like the way in which you've married fact and fiction while still maintaining a distinction between the two. All the best for BAT. Only a man of his stature could've shown so much grit and self-composure at a time of such a personal crisis! Historical facts very well woven into the topic Goodbye. Ver well written.was subtle uet effective..!! :) loved the post. interesting indeed. The romance of a friendship never fails to touch my heart. I think the post has highlighted the strength of character. It's in congruence with his capability to create a relation such as the one he had with her. It irks me that time and my profession does not permit me to read and research (to my heart's desire) about history. That was a very well written piece GB and the Gyanban thoughts below enriched me with load s of info... would be reading about it further... thanks and all the best for BAT! died in her sleep... very well written.. the thoughts are to pen down this is awesome.. Great.. I didn't know anything about Jawaharlal Nehru and Edwina Mountbatten until now. Thanks to you for writing this post for I learnt something after reading this post! A take on the topic from the history. Good one mate! Excellent take on the topic, must say it was very well written. people say that how could our PM have an affair and stuff of that sort but well hes human isnt he?...and my respect grows for him everyday!!! nice take Gyanban...:) all the best! Thank you all for reading and appreciating this post. I have tried not to take a stance on whether he had or didnt have an affair - it s something no one will ever know for sure. However, it is certain that we should admire the exemplary poise and courage simply because we tend to forget they too are simple human beings just like you and me and go through the same feelings of love, hate or pain. They chose responsibility and duty over personal issues. Imagine the pain and a sense of claustrophobia perhaps, at not being able to express a single emotion - good bye ! The Gyan Ban thoughts are always a treat brimming with knowledge and loads of information. I like the way you do lot of research giving your stories the tints of fiction with a purpose. Hi! first time on your blog! quite like everything here, so am following u for some gyaan! about the post, a very different take, well researched, but the goodbye didnot really connect so well. I am restraining myself from giving u any gyaan, hope u take my views in a positive spirit. all the best for BAT. btw, i didnot know she died in sleep, quite tragic. lovely info dude.... few words made the impact!!!! Hey, thts a real interesting take on the topic.. The fact tht their friendship was borderlining on romance has been substantiated recently by Mountbatten's daughter in her book.. The biopic 'Lord Mountbatten-The Last Viceroy' also show shades of tht romance.. In case u havnt watched this movie, do watch it for its largely unbiased take on History! hmm, not exactly unrequited in this case... but let's say, of the kind where silence is preferred to acknowledgement..
How damn true...takes ages to say goodbye...also, when you have to be the stronger person and responsibilities to look to, your grief is your own, paused to a time later to address. Sometimes it takes a lifetime and then you realise, you haven't grieved. This post really gives a perspective from an angle we never quite look from. Nice post very much in contest of the topic ..love your writing skills ..
Also .. as you have said ..my poem needs a a touch of music ..then I hv posted my maiden song lyrics ..ever..hope you will like it ..
'eternity to say goodbye?' - that was indeed great!